This past weekend, I slowed down a little to spend some quality time with my family. William (age 5), went to work with Ben for a little while. 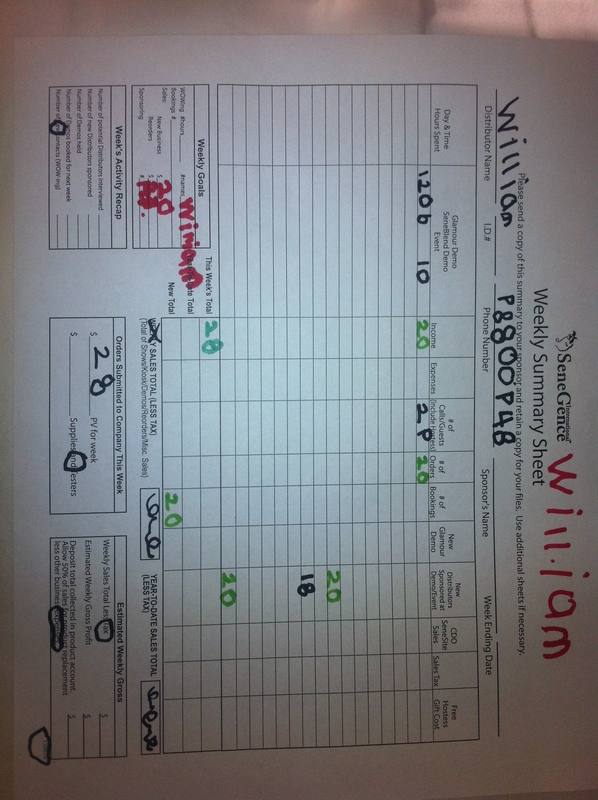 I was so proud when William brought this home to show me…he completed his first ever Weekly Summary Sheet! 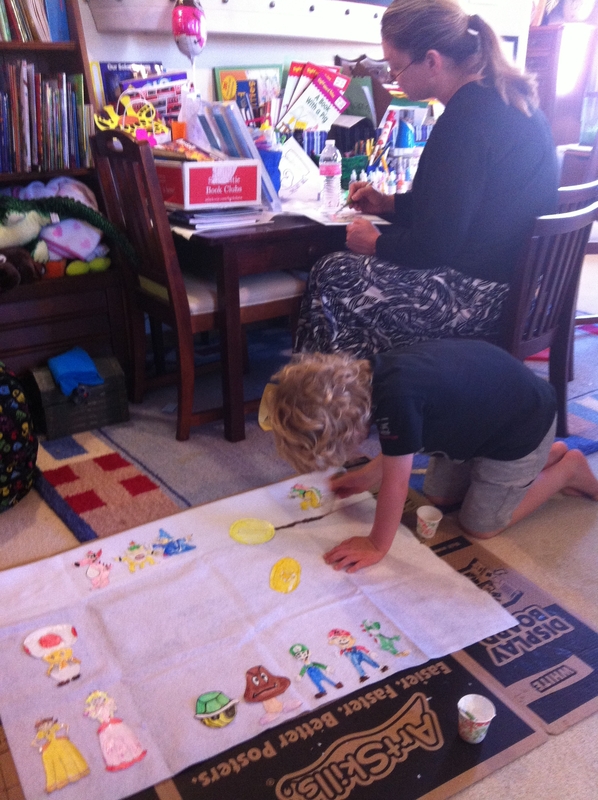 Once home, we all undertook a big art project. 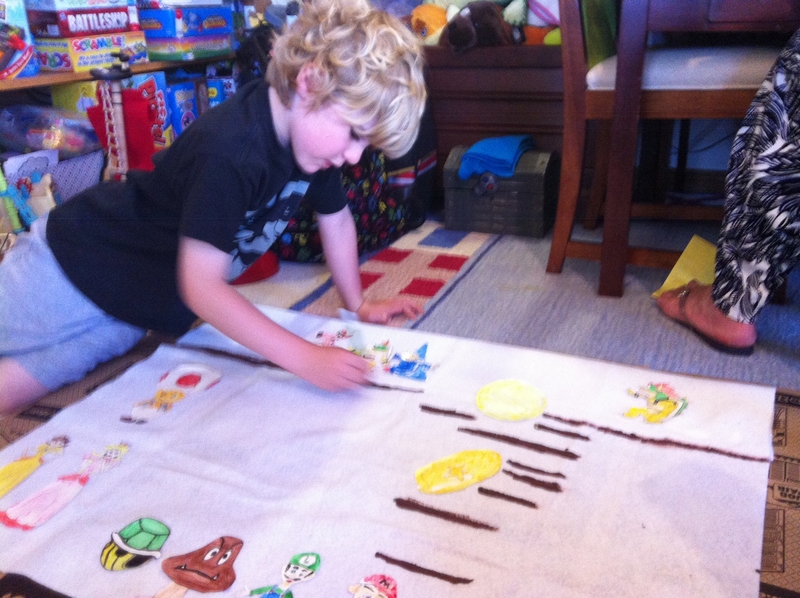 William wanted to make a Mario flag to replace the skull pirate flag atop his bed (his room has a nautical theme). Dad drew the images of the characters, we all painted them, I cut them out, Ben and William glued them to material, and alas a new flag was born! Here is my little guy focusing on his coloring. I love how much joy wholesome and creative projects like this bring to him. The weekend once again offered a chance for me to cherish the time I have with my family and stop to appreciate the many things I love about my boys. It reminded me to take the time to pause and reflect on the positive things in life, like family, personal accomplishments, and goals met. If you attended Seminar earlier this month, you heard me speak about this during “Jelly Joys”. I want to remind you Seminar attendees to share your Jelly Joy story with us on our Facebook page. Share what you were thinking when you took a moment to crack open your jelly and reward yourself. I will share in your joy by posting 10 $eneBucks to your back office. With all of the hectic happenings in our lives, it’s important to take time to smell the roses…and to share them with your SeneSisters! April 19, 2013 1 Comment on Seminar Success! 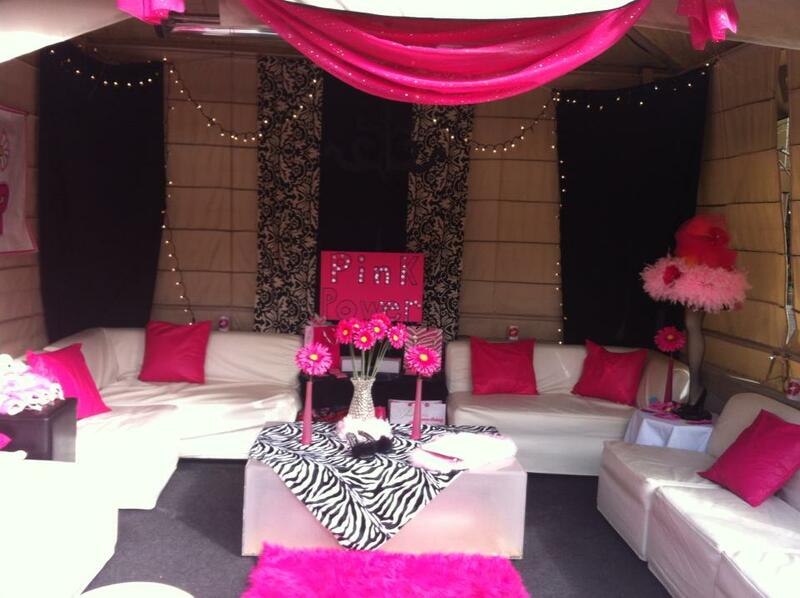 We kicked off the event with a fun cabana decorating contest and dinner poolside at the Atrium Hotel in Irvine, CA. Each Crown Princess Dominion was given a cabana to decorate in a theme of their choice. All of the cabanas turned out so fabulous! There was a tropical theme, Mardi Gras theme, beach theme, and more… but the winner was the Taylor-Swade Dominion with their adorable Pink Power theme! The Pink Power team members each won a SeneSpin on the wheel of prizes, which included generous give-aways like training packages, products, and hundreds of dollars in $enebucks. Training at Seminar was top notch. We heard from Sylvia Boyd, a legend in Direct Sales. As a veteran in the industry, she has so much knowledge and advice for those just starting out, to those who have already achieved success. We welcomed Sarah Centrella, an inspirational woman who shared with us her story of manifesting her dreams by focusing on the positive and working towards her goals. 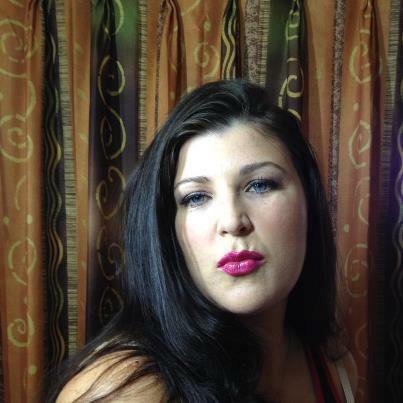 Here is Sarah after her SeneBlend makeover by Kelly Robertson and her “Glam Squad”; isn’t she gorgeous? 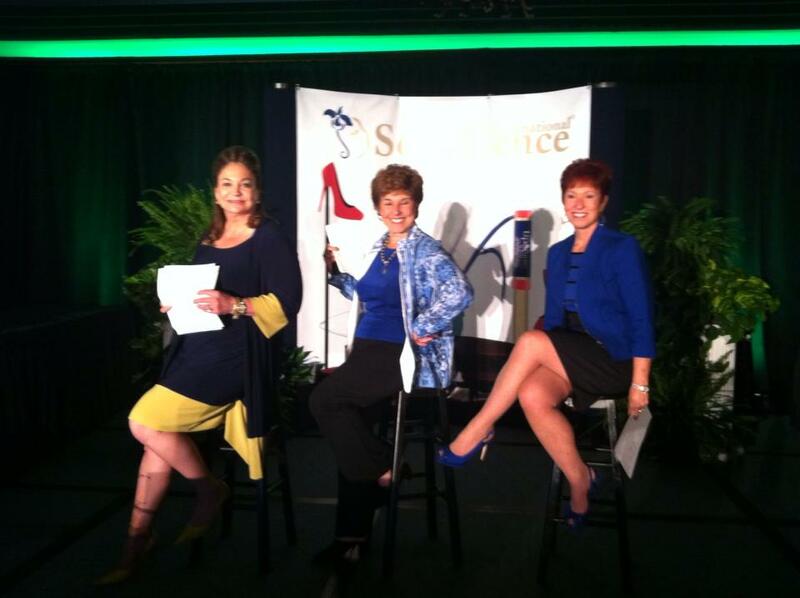 We were also privileged to hear from top SeneGence leaders, sponsors, and sellers with our “Tips from the Top” panels. 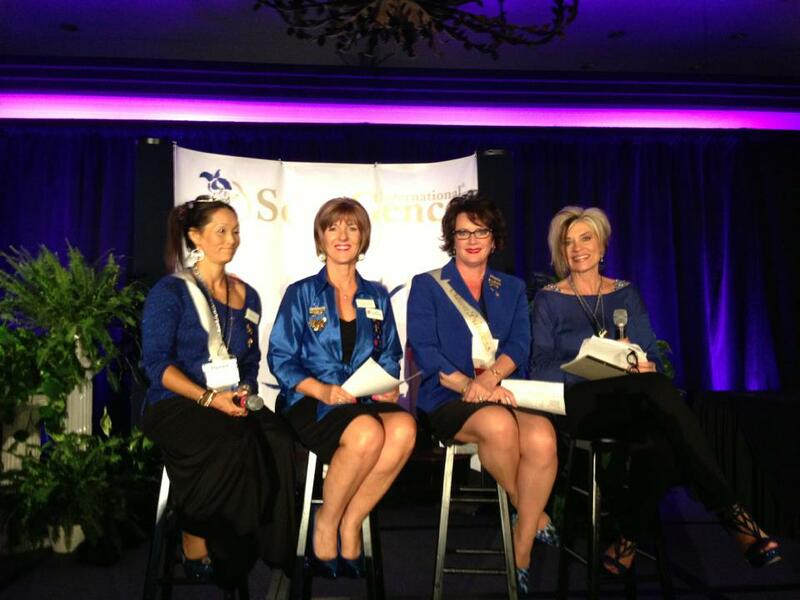 Top ranking Distributors shared with us priceless advice about how to succeed with SeneGence on various levels. Here is our Leadership panel with Crown Princess Renee Stewart, Queen Jeri Taylor-Swade, Crown Princess Leanne Avant, and Crown Princess Lisa Johnson. Attendees were able to take away from them excellent advice about how to become leaders in their own areas. 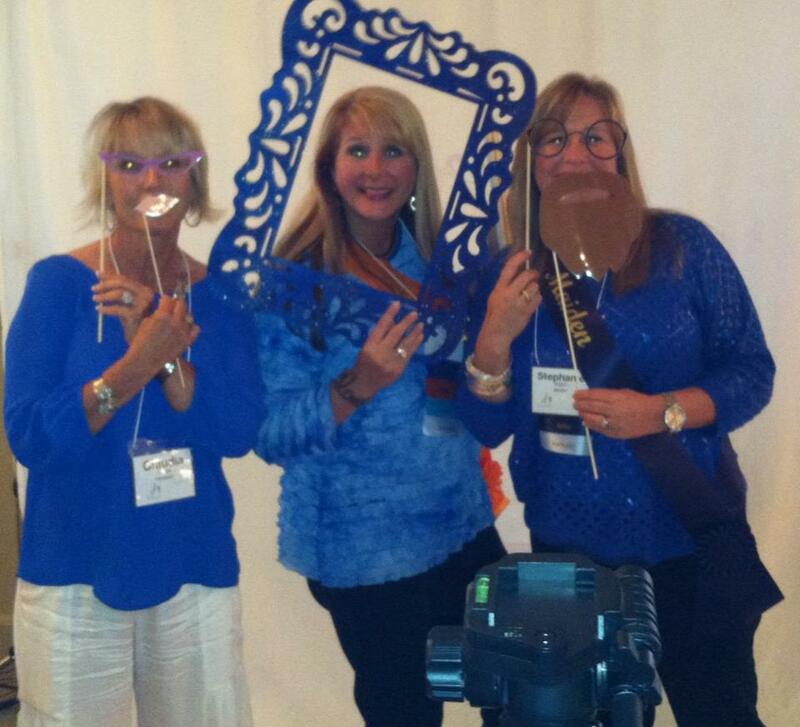 Of course, even with all that learning, there was no shortage of fun at Seminar! We created a photo booth with props that Distributors could pose with. We also offered a video testimonial booth, makeover station, logo merchandise for sale and more. On Saturday night, Distributors enjoyed the GlamSlam working dinner, where they were able to learn product application techniques from SeneGence Lead Makeup Artist, Lady Kelly Robertson and her Pro Team. 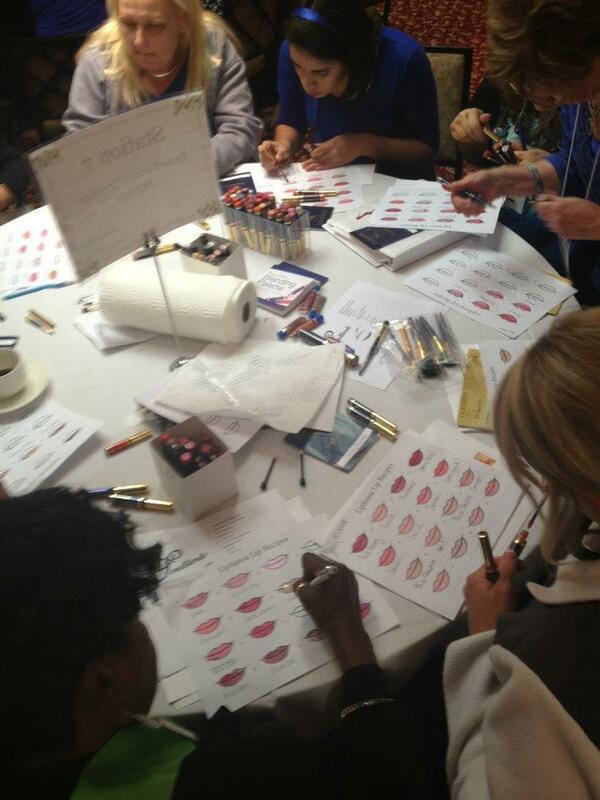 There was a station for each application area, such as eyes, lips, base foundation, etc. Attendees also got to create SeneBlends recipes for the chance to have their creations included in future editions of the SeneBlends Beauty Guide! 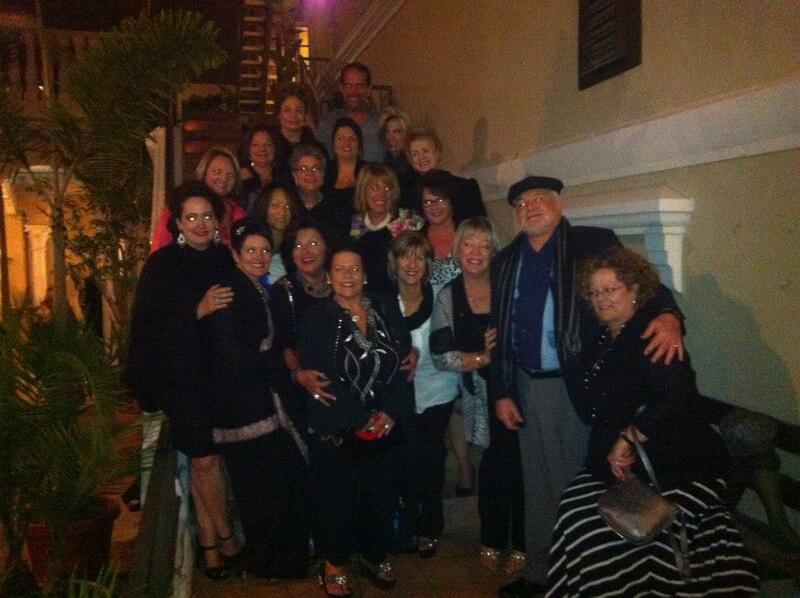 Inner Circle Court members enjoyed an exclusive murder mystery dinner show with me in Newport Beach. We had so much fun being entertained by the actors and trying to figure out who the “murderer” was, all while enjoying a delicious meal! On Sunday, I hosted everyone at my home in Irvine for brunch. Leslie Boyd-Bradley trained on setting and making goals and how to make vision boards to help you reach them. 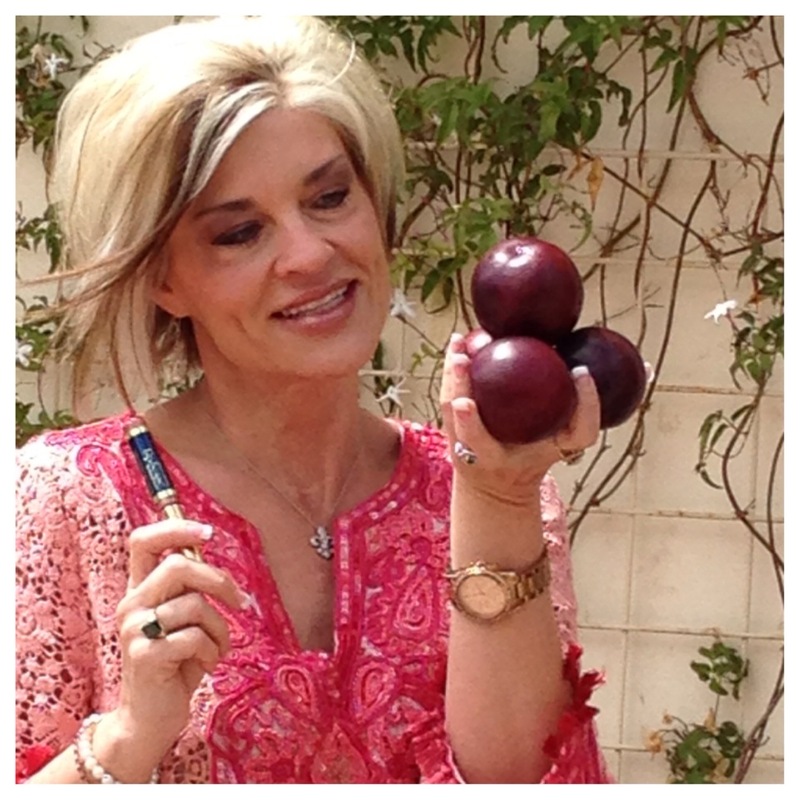 Everyone was gifted with the Hawaiian Garden LipSense collection and a custom-made piece of Seminar 2013 artwork created by our Influential Royalty. I loved spending time with everyone, catching up, and meeting new faces. 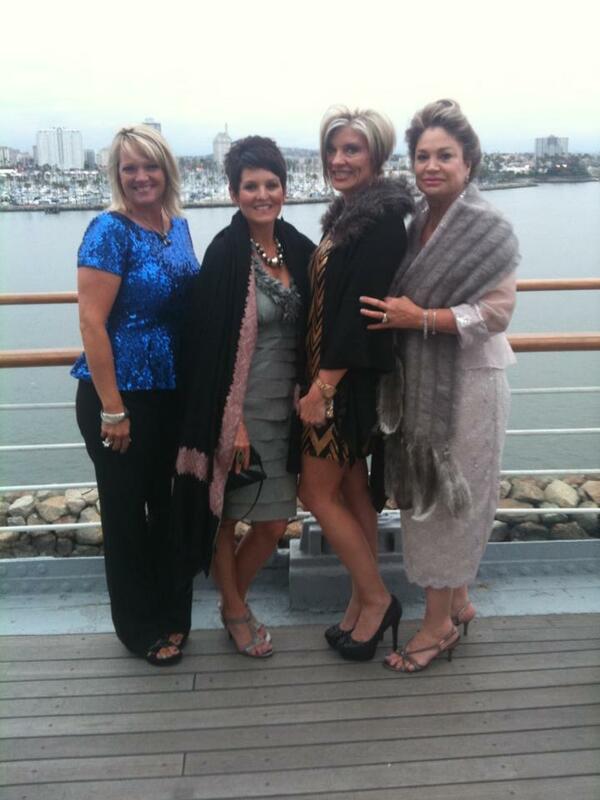 Seminar 2013 was an incredible beginning to the SeneGence new year. I hope that attendees were able to take a lot of inspiration and information with them to their own communities. I know that every year at Seminar, we become inspired to achieve more in the coming year. 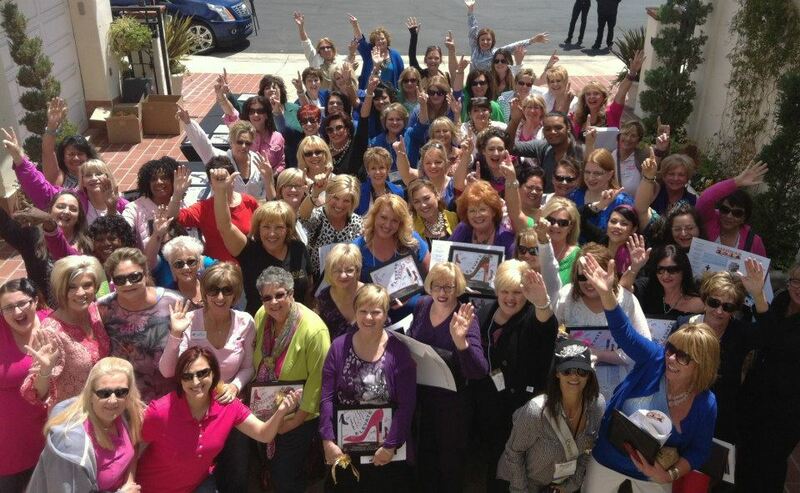 The SeneGence corporate team is always striving to help you reach your goals by crafting helpful trainings, creating new business programs, and continuing to launch new products that really work. If you couldn’t join us this year at Seminar, I would personally like to invite you to Seminar 2014, which will be held in Las Vegas, NV! The theme is “BeDazzled”, and I know that attendees will be absolutely dazzled by this event. Attending Seminar should be a top priority for every Distributor who is serious about achieving their business goals. 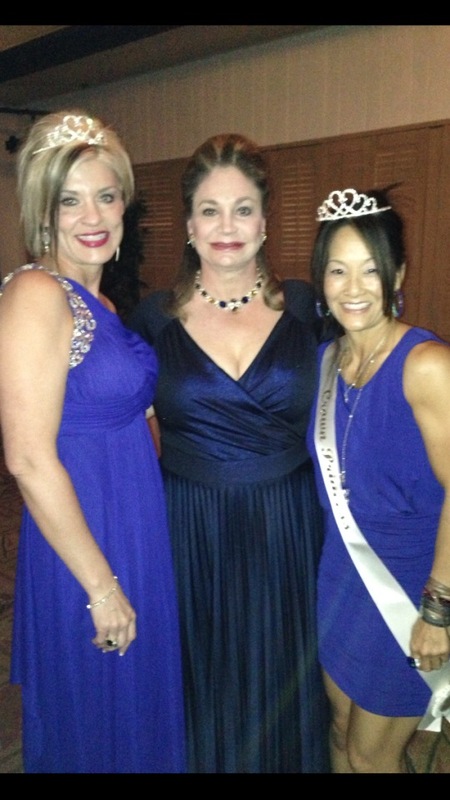 Put your all into your SeneGence business this year, and be honored on stage in glittering Las Vegas style next year!